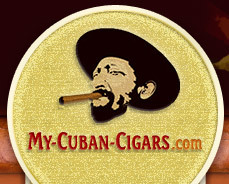 Think of us as your best cuban famous cigars shop online on the Web! We offer best Prince Of Wales cigars. An elegant Prince: elegant shape and elegant generous draw. A smooth smoke. Aromas are not so present. We have hints of herbal notes, and a gentle earthy taste. The second third offers from time to time some cinnamon notes. The final is a little bit woody. Romeo Y Julieta are among the Churchill's specialists. Prince of Wales, Clemenceau and Churchill. In matter of tastes, the Prince of Wales introduces his brothers in being the smoothest one.